From Chenin Blanc to Pinotage, South Africa is home to some of the world's most delectable wines. There are South Africa wine lands and tastings to suit absolutely everyone. Book yourself in for the experience of a lifetime today and get ready to see the sun splashed spots where world famous wines like crisp South African Sauvignon Blanc are grown before sampling the wines yourself! This full day tour is especially tailor-made for lovers! 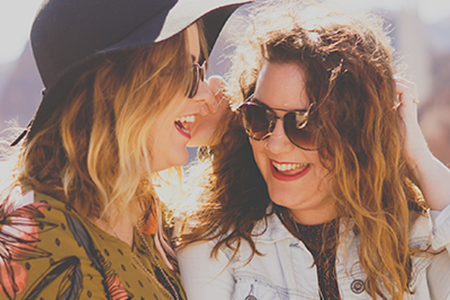 Looking to spend some quality time with your significant other – this is the tour for you. Romantic views, seductive wines, ... moregourmet picnics, and chocolate pairings: it’s the secret South African recipe for love. Perfect tour to celebrate your honeymoon or a special occasion! 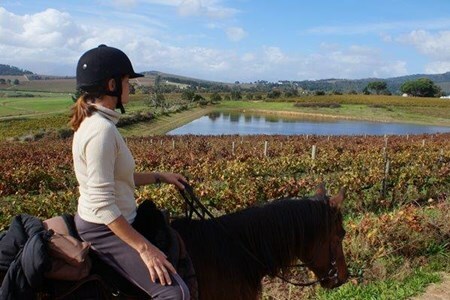 This romantic vineyard tour starts in the storybook setting of the Stellenbosch valley where you’ll experience the ultimate day of leisurely love. Begin the day sipping on some of Stellenbosch’s finest boutique wines at Oldenberg Vineyards. This independent family run winery is tucked away in the mountains in an area known as Banghoek. The magnificent views from the tasting room offer a truly unique and unbelievably beautiful setting. Small quantities of both red and white wines are handcrafted only using only grapes from the surrounding estate. Learn how the stunning natural beauty of the location has inspired a sustainable approach to the vineyards, our business, and the surrounding environment in general. Your next amorous endeavor is to Stark-Condé wines, one of the most incredibly romantic hidden gems in the winelands. The unique Stark-Condé tasting room is small and intimate and is built on its own little island in the middle of a private dam. Sip on superb wines while enjoying the spectacular view of the surrounding mountains and vineyards. When you’ve sipped up an appetite, stop at one of the famed wine farms and share a gourmet picnic including a bottle of estate wine. 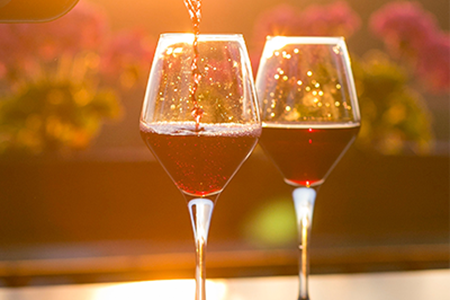 After your leisurely picnic, your private driver/guide will whisk you away to Hidden Valley, where you and your loved one will be treated to a wine and chocolate pairing. Let your taste buds be seduced by the different textures and unusual taste profiles that emerge when tasting each wine with the perfectly paired artisanal chocolate. Take a moment to enjoy the breathtaking views as you relax and listen to the tranquility of nature while the sounds, sights and smells all blend into the award winning wines. This is a day you and your love will remember forever! 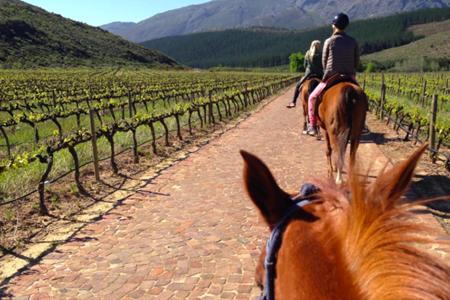 Embark on an incredible journey around the Cape Peninsula to the Winelands. 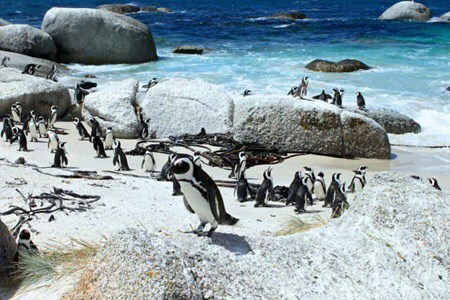 Visit the most south-western tip of Africa and stroll along the boardwalk to overlook the Penguins at Boulders ... moreBeach and then dine in the seaside village of Simon’s Town. This fantastic day tour from Cape Town to the Peninsula is designed to expose you to the sheer, breathtaking natural beauty of South Africa. You’ll feel like you’re in a James Bond movie when you cruise over Chapman’s Peak Drive and towards the ocean. The steep cliffs and panoramic views mean that every curve of the road is a great photo opportunity. Your guide will find the best spots to stop along the way to take in the magnificence of your surroundings. Next, make your way down the Peninsula to the most south-western tip of Africa in the Cape Point National Park. Capture an iconic photo at what seems like the edge of the world. You can choose to walk up the steep path to the iconic lighthouse or take the Flying Dutchman funicular (optional). You’ll experience a 360-degree panorama of the ocean, both peninsula coastlines, dramatic cliffs and the clean white sweep of Dias Beach far below. Mark that off your Cape Town bucket list. Make your way to the famous penguin colony on Boulders Beach to watch the the African penguins as they frolic in the waves. Take a walk along the wooden walkway over the pristine beach as you get up close and personal with these endangered birds. The African penguin is only found on the south-western coast of Africa and is expected to be extinct within 15 years. After making some new tuxedoed friends, take a stroll through nearby Simon’s Town, home of the South African Navy. Discover the rich history of this seaside village and its maritime strategy that played an inseparable role in the history of the Cape of Good Hope and South Africa as a whole. Next, enjoy a casual lunch in the quaint seaside fishing village, Kalk Bay. By now you’ll be ready for some wine tasting! Make your way to the historic Constantia wine valley where you will head up the mountainside to enjoy wines from the highest tasting room in the Valley. Enjoy epic views as you drink award winning wines. If you’re looking for a tour with benefits for both you and your kids, this is it! The adults get to enjoy wine tasting, and the kids get the fun activities like animal adventures, ... morejungle gyms, play areas and even juice and food pairings. Start your adventure with a visit to Eagle Encounters – a rehabilitation, conservation and eco-education zone at the Spier Wine Estate in Stellenbosch. 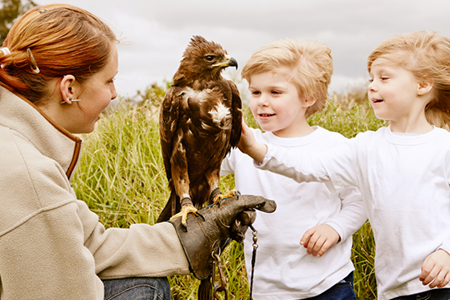 Here you and your little ones will be able to get up close and personal with our fine feathered friends. There are scheduled show times where you’ll be able to engage with and handle a wide range of furry, feathered, spiked, horned and scaled friends in the park. Once you’ve had enough time with the wonderful animals on show, you’ll be able to stroll past the all day craft market to the wine tasting room. While you taste wine, your kids will be doing some tasting of their own – a grape juice tasting with an educational activity sheet highlighting the role insects play in the vineyards. After your wine tasting you will head to Fairview Wine Estate where you can taste cheese and wine, shop at the deli, pet the goats in the famous goat tower and have lunch at the Goatshed Restaurant if you so choose. 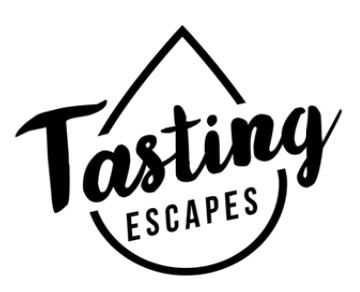 Head over to the Spice Route destination where you’ll be presented with a wine tasting where you get to taste five wines while the kids and adults alike get treated to a confection tasting. While at the Spice Route you can also visit the local artisans and shops which include a glass blowing studio, the brewery, an art gallery, the chocolate factory, the distillery and a deli. There are also a range of café’s and restaurants to choose from if you’re feeling nibbly. Discover the very best of both Stellenbosch and Franschhoek winelands as you sip on the best wine South Africa has to offer. Learn about the rich history of winemaking and indulge ... morein a regional food and wine pairing with biltong, chocolate and local cheese. 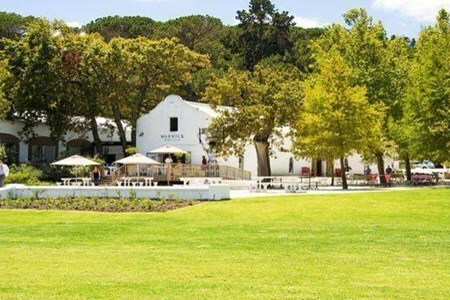 Start your day with a wine tasting experience at highly acclaimed Warwick Estate in Stellenbosch. Learn about the history of the estate and the legend of the Wedding Cup, a tale from hundreds of years ago. Your next tasting in Stellenbosch is at a boutique winery nestled in the Jonkershoek Valley. Taste beautiful hand-crafted wines from a small island overlooking a damn, which reflects the dramatic mountain range from above. Next, enjoy award-winning estate wines from organically grown grapes at La Motte, while browsing an extensive selection of art, including famed SA artist, JH Pierneef’s heritage collection, followed by a wander through the sculpture garden. Finish off your experience at boutique wine estate, Maison, with breathtaking views across the vineyards of the Franschhoek mountains. Step back in time and spend your day visiting the oldest wine producing region in the Southern Hemisphere and taste some of the most famous wines ever produced in South Africa, enjoyed ... moreby royalty in the 18th century as well as the likes of Napoléon Bonaparte. The winemaking of Constantia Wine Valley dates back to 1685! Groot Constantia’s revered history tells us how a man’s love of wine established the first wine farm in South Africa, going back 330 years. The largest wine estate in the region is home to Van der Stel’s (the first Governor of the new Dutch colony at the tip of Africa) original manor house and the museum is an excellent example Cape Dutch architectural style. On this historical tour you will enjoy a guided tour through the cellar and learn more about this rich history while enjoying a chocolate and award winning wine pairing. The valley was the cradle of quality winemaking in South Africa and the name Constantia is linked with the most famous wines ever produced in this country. Enjoyed by Napoléon Bonaparte and royalty in the 18th century. 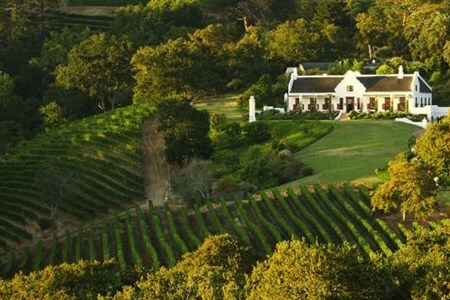 Visit a wine estate, which originally formed part of the much larger, historical Constantia Estate. Eagles’ Nest is cradled in a secluded valley on the slopes of the Constantia mountain range, forming part of the World Heritage Site, Table Mountain. The farm’s origins go back to when it was used as a refreshment station between the area now known as Wynberg in the east, and the harbour of Hout Bay in the west. Enjoy a leisurely afternoon of sipping on wine, under the tall trees, enjoying the relaxing sound of the babbling brook. 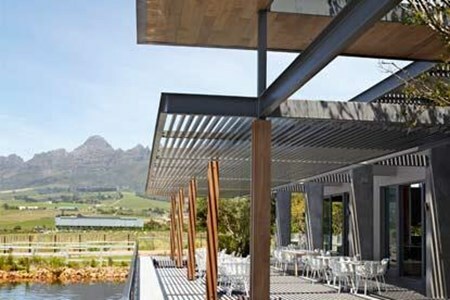 For your final stop, you will head up the mountainside to one of the highest tasting room in the Constantia Valley. You’ll finish your tour with a view across the bay all the way to the beginning of the Helderberg mountain range. 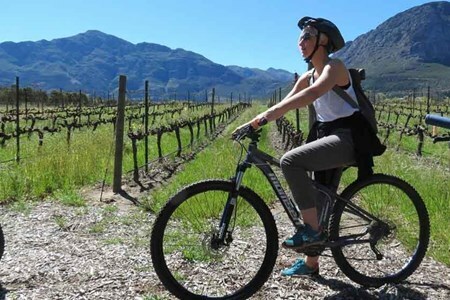 Explore the celebrated wine region Stellenbosch known for excellent wine, food, people and culture with your private wine expert ... truly the perfect way to experience the Cape of ... moreSouth Africa! Here in South Africa we like to celebrate life. We do that through food and wine and people and culture. Join us as we take you on a journey of the senses in one of South Africa’s most highly acclaimed wine producing regions. Visit wineries that have been making wine for over 350 years. Visit dusty, cobwebbed cellars, state of the art wineries, walk in vineyards and taste wine that is a true expression of the terroir. Your first stop takes you to Jordan wine estate, which is renowned for terroir-inspired wines that combine the fruity accessibility of the New World with the classic elegance of the old. The team at De Morgenzon, your second stop, believe in the power of music and vibrations. 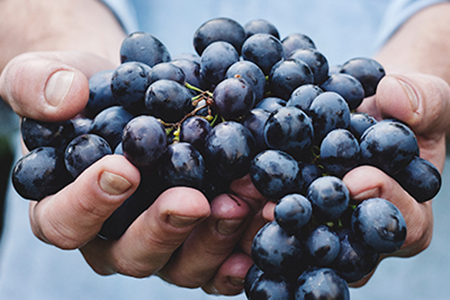 Here you’ll learn why playing baroque music is good for growing grapes. Taste for yourself and see if you agree! Your second tasting takes you to De Morgenzon wine estate where they believe in the power of music and vibrations. Here you’ll learn why they play Baroque music to the vines and why it is good for growing grapes. Taste the award-winning wines for yourself and see if you agree! When you’ve finished learning about Bach, Handel and Vivaldi your specialist guide will take you to the sleek and eco-friendly Cavalli Wine & Stud Farm for a wine tasting and lunch. Equus, the restaurant at Cavalli is excellent and the views over the water are exceptional. Your final stop on the Best of the Cape – Stellenbosch Tour is at Hidden Valley Winery where you have the option of a wine and chocolate or wine and olive oil tasting. If whispering “viniculture” in your ear is enough to get you off, look no further fellow cork dorks. This is a full day wine tour tailored for wine buffs who know how to have a great ... moretime. You can expect to geek out at wine farms, lunch included. If you’re a serious wine aficionado, this is the tour for you. A full, immersive day into the world of fermented grapes, taking you to both serious hard-hitters in the wine world, as well as secret gems. You’re looking at 2-3 different wine farms with a tasting at each, a cellar tour and a chat with the wine maker. We know that drinking is hungry work, so you can expect a lunch on us, too. Naturally, the car will be a hydration station with enough water to keep everyone on board happy. Pick up time is 9am and drop off time is late afternoon. You and wine know how to get it on. In fact, you get it on all the time. This is a full day tour for those looking for a seriously good time peppered with some wine knowledge to brag ... moreabout & lunch. A full-day wine affair for both newfound and old-time wine lovers. 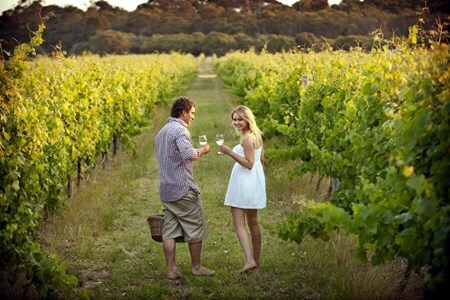 Be treated to a day of tastings at various wine farms complete with cellar tour. You can definitely expect a picnic-style lunch in the ambience of one of the farms, because no wine experience is complete without some foodie delicacies. Scenic, tasty and sensual treats abound. Pick up time is 9am and drop off time is late afternoon.